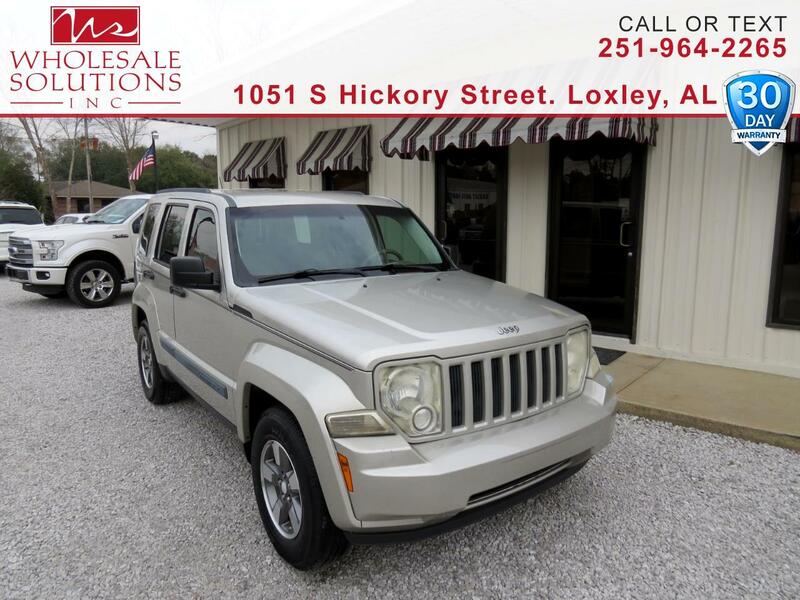 Used 2008 Jeep Liberty 2WD 4dr Sport for Sale in Loxley AL 36551 Wholesale Solutions Inc.
*** DEALER WARRANTY ***, ***Financing Available***, **** Great First Car ****, **** Local Trade *** Nice Truck ***, *** Low Payments ***, 16" x 7.0" Aluminum Wheels, 6 Speakers, AM/FM CD/MP3 Radio, Delay-off headlights, Remote keyless entry. Odometer is 685 miles below market average! Priced below KBB Fair Purchase Price!